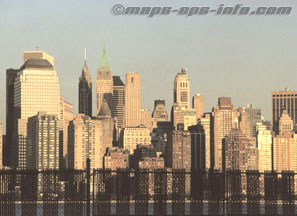 There are many websites that have New York City maps. There are also many sites that turn up in the results when one searches for “New York City maps” that do not have any maps at all. This frustrating situation is due to the fact that “New York City maps” is a phrase that gets searched for quite often and those bogus pages exist just to display advertising. This page is more than just a collection of links. We’ve scoured the Internet for all kinds of New York City maps and distilled the results down to the best of each type. Another benefit of this page is that we’ve found some unusual and interesting maps that otherwise would not be found with normal searching. Also included are sources where hard copies of New York City maps can be purchased. Street – Yahoo! Maps has two advantages over MapQuest: better printed quality and you can view a larger area. To see a wider-area view, enter only the city and state (not an address). Street – Hot-Maps gives you some nice features. You can grab the map and drag it to pan and you can also drag the cursor anywhere on the thumbnail map to quickly jump to another area. Print quality is very good and a smaller-scale map (more area, less detail) can be printed from the “Printpreview” icon at the left of the large map. 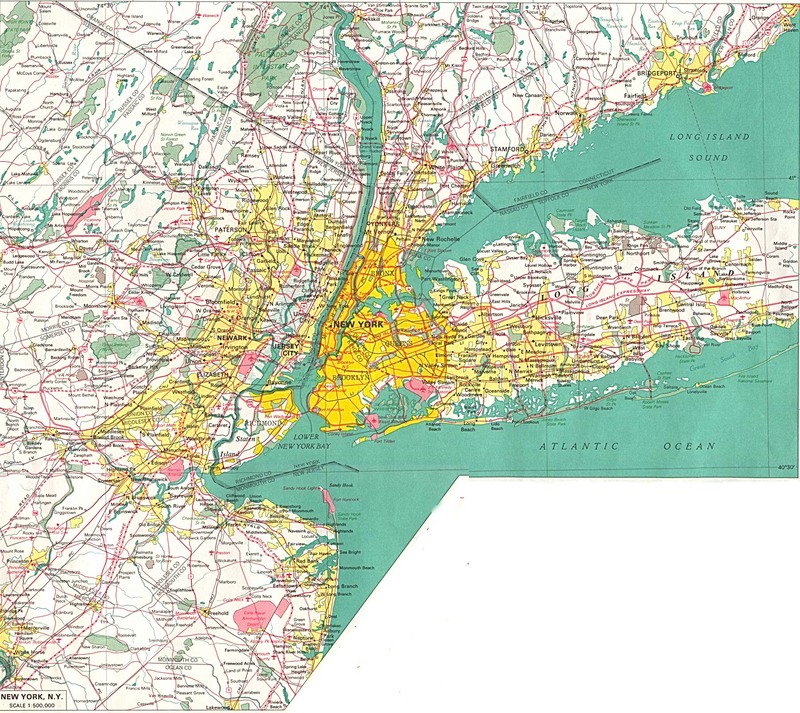 Purchase New York City Maps – An inexpensive map from National Geographic. Finely detailed with practical travel information. Street Locater – www.ny.com – This is not a map, but a related, useful tool that allows you to figure out the cross streets given the building address and street or avenue. There is a freeware PalmPilot program, X-Man, which is a Manhattan street address locator similar to the one above. To find out more, visit http://roamingempire.com/xman/. Subway – System-wide – This is a clean, simple map for viewing the entire subway system. Click on map to enlarge. Subway – system-wide with streets – A PDF document. Subway – for printing – Individual boroughs. Click on the map to enlarge then print. Set your printed page to “landscape” for all except Manhattan. Bus routes – Individual boroughs in PDF. 2002 map, front – Prints on twelve 8.5″ X 11″ sheets and will take a while to download if your Intenet connection is dial-up. 2002 map, back – Prints on twelve 8.5″ X 11″ sheets and will take a while to download if your Intenet connection is dial-up. Metropolitan Area – A wide-area map showing highways and railroads. Several maps dating back to 1860. New York City maps (scroll down the page a little). Neighborhoods – A New York City map showing the 59 community districts. Click on the map for more detail. population, ancestry, income, and more.